Assessing the title contenders from the relegation specials in the footballing pastry world. 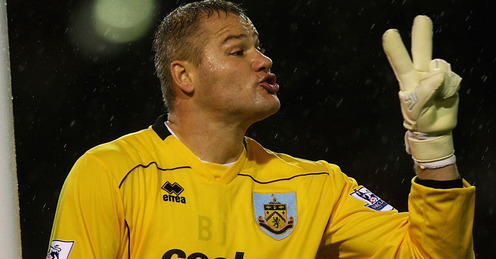 Burnley Release the ‘I-Pie’ App. Hate it when you desperately need a pie at the game, run off to get one before half time and end up missing Steve Sidewell score a 30 yard screamer queueing? Well the days of waiting for pies and missing the game are over at Burnley who have unveiled the ‘I-Pie’ App. Getting the app allows your to browse the menu at Turf Moor and order your food, pay online, from the comfort of your seat so you can quickly run out to pick the food and drink when its ready meaning no queueing or time wasting. Brilliant. Striker Danny Ings gave it the nod of approval on Sky Sports News and it looks to be a sure bet that the Clarets will be selling more than the average 4,000 pies a game with its introduction. After their game vs Yeovil is this weekend we’ll get a better idea about the app and its success. Does it seem like a good idea and should all grounds be using the system? I am the Catering Manager at Burnley, I was forwarded the link recently, sorry we only reached 5/10 on your recent visit. The I-Pie app was discontinued at the start of the Season, the fans would simply not adopt it in enough numbers to make it viable…. which was a real shame, as it is a great concept/idea. Thanks for getting in touch. It’s a shame that the I-Pie app was discontinued,I think you were on to a real winner with this one. Although, Football fans aren’t the best at adopting change on the whole. The one thing I’d recommend for you guys at Burnley, and all clubs for that matter, is to source your pies from a local source and make them truly unique to the ground. It makes such a difference to turn up to a ground a be greeted by a pie you can’t get anywhere else. Good luck with the rest of the season…yours is going slightly better than Fulham’s!